In redesigning this site, we tackled a variety of challenges. For most of its user population, the most important feature of this site is the public events calendar, which we reworked from a sprawling flat page to use google calendar. This new strategy makes it possible for the organizers of individual event series to maintain their own listings. 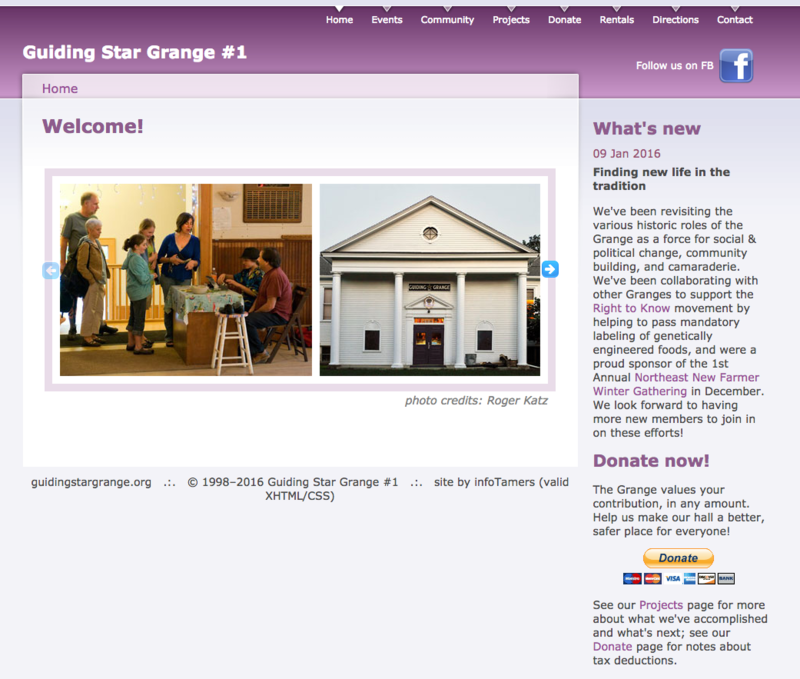 We also conferred with each of the organizations that make up the Grange community, in order to present a more coherent view of each that would clarify their relationship and goals, and achieved consensus despite the sometimes differing interests of the groups. The much-expanded section about the building’s facilities makes life much easier for both potential renters and the folks responsible for renting the hall. This site is built in Drupal.